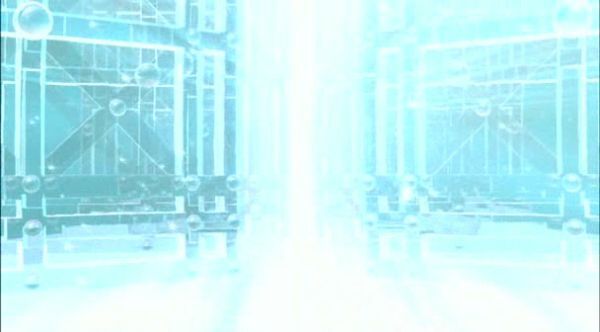 The doors to the sixth-dimensional Realm of Light are opening, in one of my favorite sequences from the anime “The Laws of Eternity”. I have borrowed the terminology from this anime and the corresponding book by Ryuho Okawa, but the actual experience was almost disturbingly familiar when I read about it. We who feel at home with the 6-dimensional Realm of Light have a tendency to want to lead or guide others. Not because we like to lord it over others, but because they badly need guidance, even ours. A lot of us fall into the general category of “teacher”, even if not necessarily as a job title. Because we have “seen the light” as the saying goes (although to varying degree) we would love to share this with others. That, however, is easier said than done. When we talk about spiritual matters, it is not in the way of someone who has read books. This applies even if we actually have read books. The reason for this is that when we read books, or in other ways come across some piece of Truth, it resonates with our heart and it is this resonance, which is our own (in a manner of speaking, since all is a gift) which we retain. The Truth hits us with the force of revelation: a sharp insight, like a bright beam of light, a wow factor. It is not like learning French verbs which you need to repeat until you remember them. It is like finding a missing puzzle piece that, once put in place, stays in place, and changes the picture permanently. It usually fills us with joy, but sometimes it shocks us, or drives us to repentance. It is “really something”. It is active, it changes us. This is how a piece of Truth differs from a piece of fact. The “realm of light” could also be called “realm of truth” in this sense. There is actually much greater and purer Truth further up, as we can see from the saints (who surpass this) but this is probably the level where we start to have these wow experiences repeatedly. So, we could call this the realm of insight, the realm of inspiration, the realm of revelation perhaps. The theoretical knowledge that contained the “piece of Truth” may even focus on something else, and remains theoretical if we remember it at all. It is the part that resonates that we remember and which remains alive to us. The revelation, to use a religious word. I don’t mean by this that we hear voices and see angels, well most of us don’t. But it hits us with the force of revelation, is what I mean. It is an absolute conviction, to approximately the same degree that we tend to believe our own eyes. I may concede that it is possible that these things are not real, but I would do so in the same way I may concede that my body is not actually real and I may live in some virtual reality, Matrix-style or otherwise. It is possible in a philosophical sense, but I’ll nevertheless continue to assume that what I perceive as real, really is real. But still, there is a huge difference between absorbing something through resonance and actual practice. What we can see is a lot more than we can do – or at least that is the case for me. I may have a conviction, and I may have an understanding that is so alive and free that you could wake me up in the night and ask me to speak for five minutes or an hour about the things that belong to the Realm of Light, I believe. I have not actually tested this, but apart from the physical pain of talking (after all these years of mostly silence) it should not be a problem. I should not need a manuscript, or to look up something in a book, or anything except enough water to not lose my voice. This is what I believe, based on how ridiculously easy it is to write and write and write and write about these things. But I don’t really live the kind of life that a spiritual teacher lives. The Voice in my heart certainly could keep going for a thousand years, is what I believe, but if I were to tell all of that, I would condemn myself by all the un-practiced knowledge. The iceberg would tip over and disaster would ensue. What I should do is hide the words in my heart and let them change me. But it sure is tempting to preach. I am torn by my urge to say all the words that should be spoken, before they are lost forever. But it is not really my job to teach you everything and remind you of everything. The Voice in your heart will do that. All I should do is resonate on the same wavelength, so as to wake people up to what is already there. What do you think of pantheism and the individuals that adhere to it? Seriously though, I believe there is a sacred presence in nature, as I have said elsewhere: There are things that are thought to be supernatural, whereas nature is actually more super than most of us believe. Human beings are also part of nature, and of the cosmos, and as such one could argue that everything accessible to the human experience (even if through meditation or prayer) could be deemed natural. However, pantheism in the sense that the physical universe is the Supreme Being is something I reject.